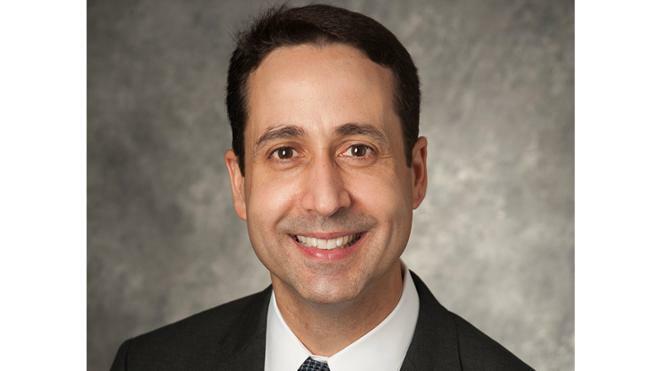 The University of Richmond has announced the appointment of Miguel “Mickey” Quiñones as the university’s next dean of the Robins School of Business effective July 1. Quiñones is currently the O. Paul Corley Distinguished Chair in Organizational Behavior and Administration and department chair in the Southern Methodist University Cox School of Business. He is an internationally recognized expert and widely-published author in the areas of individual and organizational development, as well as the strategic management of human capital. He was previously on the faculties of the University of Arizona and Rice University. He also served as a U.S. Fulbright scholar and visiting professor at the Pontificia Universidad Catolica in Santiago, Chile, and was a visiting professor at Singapore Management University, as well as the IE Business School in Madrid. At SMU Cox, Quiñones serves as the academic director of the Latino Leadership Initiative, a partnership between SMU Cox and a number of Fortune 1000 companies whose goal is to identify and develop the next generation of Latino/a leaders. He also leads the SMU Cox CEO Sentiment Survey that tracks the state of the Dallas/Fort Worth Area business community through the perspective of local business leaders. In addition, Quiñones works with a number of organizations to design and deliver leadership programs to address critical business issues. He is a fellow of the American Psychological Association and the Society for Industrial and Organizational Psychology. He is associate editor of Management Research and serves on the editorial board of the Journal of Management. He currently serves on the boards of The Hockaday School and the Teaching Trust. He has received numerous teaching awards including the George R. Brown Award for Superior Teaching at Rice University and the MBA Outstanding Teaching Award at SMU Cox. In 2014, he was named an Altshuler Distinguished Teaching Professor, the highest recognition given at SMU for teaching effectiveness. Quiñones earned his Ph.D. and master’s degree from Michigan State University in industrial/organizational psychology. He earned his Bachelor of Science degree from Texas A&M University. The search was informed by a committee co-chaired by Legro and Shakun Mago, professor of economics; Jeffrey Carlson, assistant professor of marketing; Mark Detterick, sr. associate vice president, Finance and Administration; Nebeu Fekede, senior; Marshall Geiger, CSX Chair in management and accounting; Violet Ho, professor of management; Trustee Tracey Ivey, a 1982 graduate of the business school, director of consultant relations at Thompson, Siegel & Walmsley; Jeremy Lacy, senior; Cassandra Marshall, associate professor of finance; Sandra Peart, dean, Jepson School of Leadership Studies; and Laura Thompson, assistant dean, Undergraduate Student Services. Gina Flanagan, executive assistant to the Provost, provided search support. Nancy Bagranoff, dean of the Robins School of Business, announced in October her plans to step down as dean, effective June 30. She had served as the business school dean since 2010 and plans to remain on the faculty as professor of accounting. “I want to recognize Dean Bagranoff’s deep commitment to the school of business and her outstanding record. We are so grateful for her skilled and dedicated leadership,” Legro said. The Robins School of Business is the only fully accredited, highly-ranked undergraduate business school that also is part of a highly-ranked liberal arts university. U.S. News ranks the Robins School’s MBA program #35 in the country. The school’s executive education division offers open enrollment courses and customized leadership development, training and consulting to area businesses.